Google Earth gets the imagery it needs from multiple sources including aircraft and satellites. Google recently started adding images to its collection from other sources including less expensive balloons and kites. The new images Google Earth is using come from people like you and me using cheap systems for local aerial photography. Google says that friends at The Public Laboratory for Open Technology and Science have been working to devise a method of collecting the sort of imagery that’s cheap and easy to access for all people. 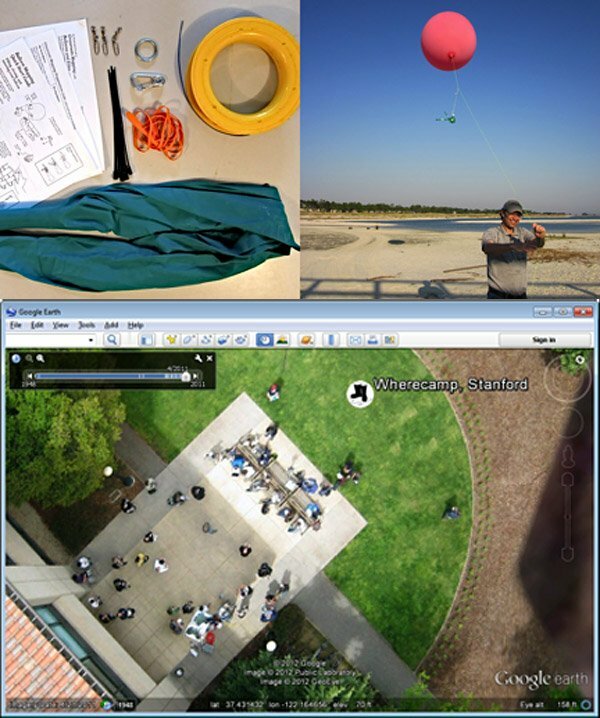 The kit that the Public Laboratory came up with has been dubbed the balloon mapping toolkit. It allows anyone to take their own aerial images using a cheap point-and-shoot digital camera and a few other items. The kit would cost about $100 including the balloon, helium, line, and other items needed. The Public Laboratory also has an online tool called MapKnitter that aligns the photos into a geo-referenced image that Google Earth can use.